It was certainly an interesting (and volatile) five days for Mr. Market this past week. 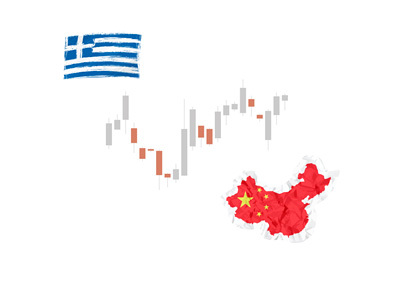 Major market indexes zig-zagged over continuing drama with the Greece/European Union situation and the frightening collapse in Chinese equities. After last weekend's referendum vote in Greece, there was some real pessimism that a deal to keep the country afloat could be worked out between Greece and its creditors. Greek Prime Minister Alexis Tsipras, much to the disdain of the country's creditors, elected to hold a nationwide referendum to vote on whether or not the country should agree to the terms of a proposed bailout deal. Greece delivered an emphatic "no" vote, and Tsipras returned to the bargaining table with a mandate to work out a better deal for his country. Would Greece's creditors budge? There was some movement earlier this week when Greece tabled a new proposed deal to its creditors. In addition, some of the European Union's largest member nations reportedly stressed the importance of keeping Greece in the union thanks to their geographical and historical importance. Allowing Greece to leave the Euro, it was said, would be potentially disastrous as they would likely find themselves heading into the waiting arms of Russia. As mentioned, there was some movement this week, and there is now optimism that a deal can be reached before a "final" Sunday deadline. The markets certainly believe that there is reason to be optimistic, as major market indexes across the world soared on Friday. China was another factor roiling the markets this week, as a massive market meltdown sent the country's major market indexes down more than 30% from their mid-June highs. In an effort to stabilize the situation, the Chinese government took unprecedented measures to halt the decline. This included banning major shareholders of companies from selling any of their shares for a period of six months, cutting interest rates, suspending initial public offerings, relaxing margin lending and collateral rules and using central bank cash to buy stocks through brokerages. The measures, for the time being, have worked, as the CSI300 index and Shanghai Composite Index have both risen for two straight days. Further muddying the market picture next week will be the US earnings season, which is set to get into full swing.